Do you dream about yurt vacations? Have you ever wondered what it's like to spend a few nights in a yurt? 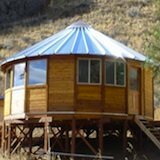 Check out these get incredible yurt rentals in various parts of the world. I've made this special list of yurt vacations that are known for relaxing, enjoying nature, or going on adventures. Each is unique and offers an unforgettable time. This place is within walking distance of a village with shops, restaurants, bars, banks, a post office, and a medical center. Nearby you'll find ancient caves, flamenco shows, a Picasso museum, and more. A two hour drive away is Tarifa, the southernmost point in Spain. One of the most interesting things about the Hoopoe Hotel is that every yurt is individually decorated. They each look spacious and comfortable to be in. 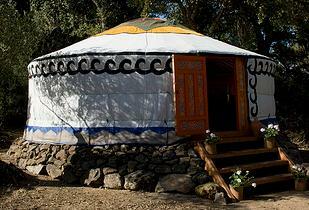 You'll discover five different style yurts there. The Mongolian (traditional), Afghani (cozy and intimate), Saipur (light and airy), Safari (great view and earthy), and Maimani (larger). The camp runs on solar power and each yurt has its own private bathroom with shower. Nearby there is nature to be enjoyed like bird and butterfly watching. Each ger has an acre of meadow to enjoy with outdoor seating. The food is locally produced and did I mention the mountain views? Massages, yoga classes and a swimming pool are also available. Explore nature, paddle through the lake, enjoy the waterfalls, go mountain biking, ski, or just enjoy the views. 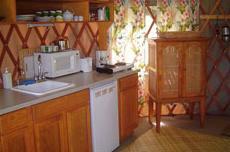 The yurts have kitchen, dining, living, and sleeping areas. Notice I didn't say bathroom. 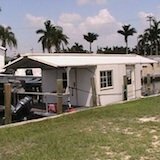 They provide clean outhouses within short walking distance of where you stay. There's a deck with a private fire pit and grill and each yurt is secluded into its own private area in the forest. Rates are $95 per night for two and $15 per night for each additional guest. 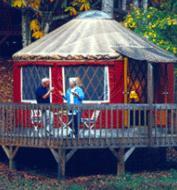 The yurt vacations here accommodate 6 to 8 guests at a time. Purchase an all inclusive adventure of saltwater fishing, freshwater fly-fishing, or sea kayaking. They provide breakfast, lunch, and dinner. On your free time you can enjoy nature and go on nearby hikes. 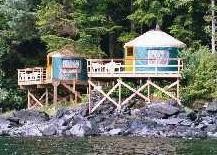 Naha Bay Outdoor Adventures is located in Nacha Bay, Kechikan, Alaska. Each yurt has a queen sized bed plus a futon. The private deck outside over looks the Fontana Lake or nearby ponds. At night you can see the stars through the yurt's skylight. Bathrooms and showers are located separately within short walking distance. 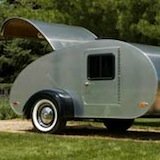 Rates are about $84 per night. This is listed in the 2009 National Geographic Travelers Stay List. There are plenty of nearby activities like whitewater rafting on the Nantahala River, railroad excursions on the Great Smokey Mountains as well as jeep tours, mountain biking, hiking, and horseback riding. Hawaii is one of those places I've always wanted to visit. The yurt here is 16' and has a view of Hana Bay. 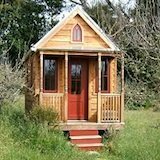 Inside there's a queen bed, little kitchen, wireless internet, chair and table, and no television. Hana (a historical town) has been visited by Mark Twain, Jack London, and Charles Lindbergh. I know this is a wonderful place to stay because it has over 20 near perfect reviews when you search for it Google. Rates start at $135 per night. Big Sur is about 5 hours away from San Francisco and Los Angeles. There is an incredible village of 15 yurts with queen sized beds, ocean or mountain views, redwood decks, and Adirondack chairs. Inside there is sinks with hot and cold running water. Clean bath houses are within short walking distance throughout the village. This place has over 200 good reviews when you search it on Google. Nearby there are redwood-filled canyons, waterfalls, rocky beaches, and more. Look for historical structures, go whale watching, or ocean kayaking at the Montery Bay National Marine Sanctuary. During the week they offer permaculture seminars, journalism or sketching, and yoga retreats. There are also sea otters, sea lions, whales, and dolphins to spot. Last but certainly not least is this yurt nestled right on the beach. Mal Pais is a thin village with homes, restaurants, and small hotels on three kilometers of gravel road parallel to the Pacific Ocean. 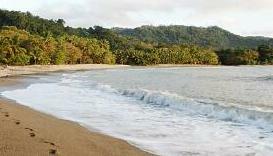 It's located south of Santa Teresa and north of Cabo Blanco. Nearby activities include a 300 meter tree top gliding through the forest with views of the ocean. Wildlife watching and fishing on boats, and horseback riding on the beach are a few other great options.